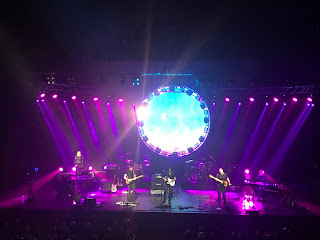 On Sunday we went to a Pink Floyd tribute concert by the British band UK Pink Floyd Experience and the Israeli band Echoes. 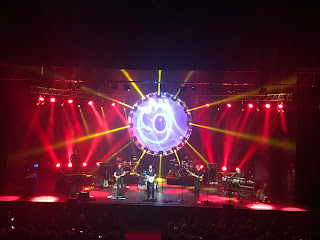 The show at the Haifa Convention Center was the third and last in this tour of Israel, after Beersheba and Tel Aviv. The audience seemed to be mostly my age or older. 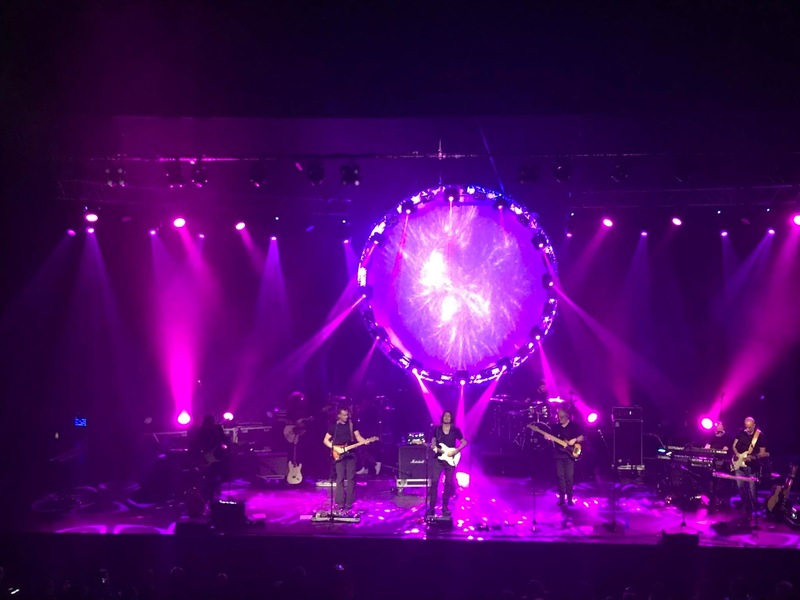 I like Pink Floyd's music, both in itself and in its pervasive influence over so much of the progressive and alternative music I enjoy. However, I'm not enough of a fan to be familiar with their entire repertoire and the solo careers of each member. I had mixed feelings about the idea of tribute bands. As a creative, I greatly value originality. I expect that many fans of any artist would consider the idea of listening to another band "imitate" their favourites anything from bizarre to offensive. But the model whereby music is played exclusively by its authors was not established until relatively recently. Classical composers were aware that their work would be played and conducted by other performers beyond their control. Perhaps they considered their role more like that of a playwright. 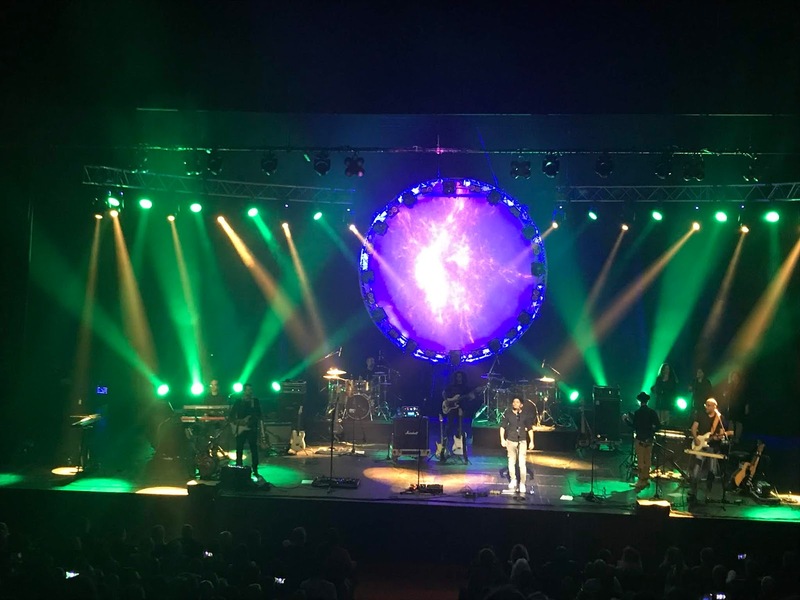 In recent years, the talent shows that have become popular on television have featured many cover versions of well-known songs each week, and perhaps this has led the public to be more accepting of the idea of tribute bands. There are successful stage musicals and biopic films based on the music of various stars. I can also see the attraction to performers of recreating the songs they admire. Many musicians learn to play by practicing their favourite music, and imitation is a stage in learning. Not every good musician has to be a composer of great original music. Ultimately, I put my misgivings aside and enjoyed an evening of good music. 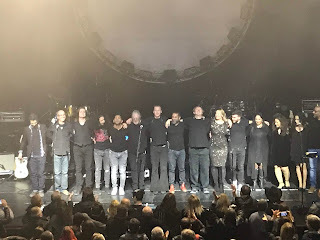 The show was originally planned to be by UK Pink Floyd Experience, and they added Echoes, apparently after seeing them on YouTube, for reasons discussed below. The combination of the two bands worked well. They played some pieces together on stage. In some songs, members of one band performed with the other band. And they performed many works separately. Each band had a different emphasis, at least in this show. 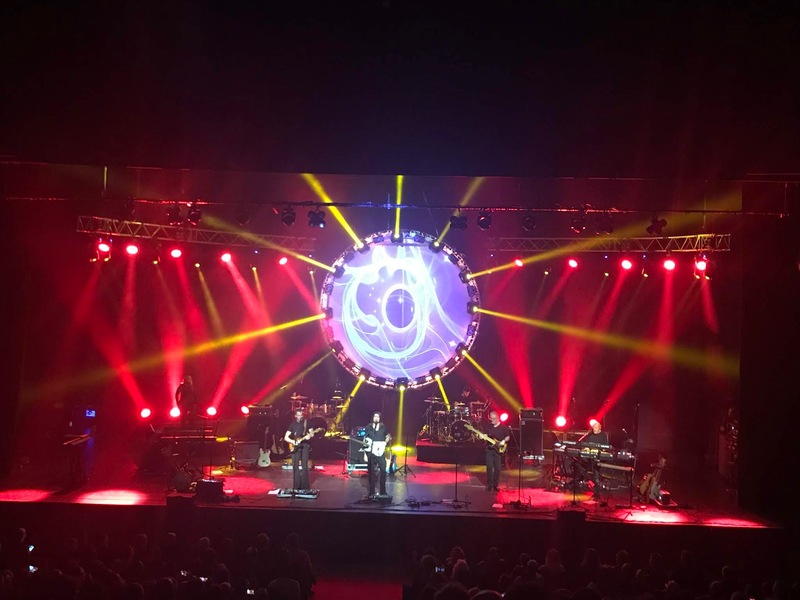 UK Pink Floyd Experience focused on some less well-known material, including songs by Syd Barrett and David Gilmour, while Echoes performed many of the more popular Pink Floyd hits, focusing on the albums The Dark Side of the Moon and The Wall. 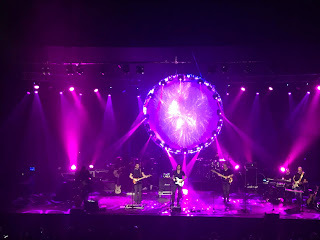 The performance of both bands was impressive, with some improvised parts that showed their skills beyond mere imitation. 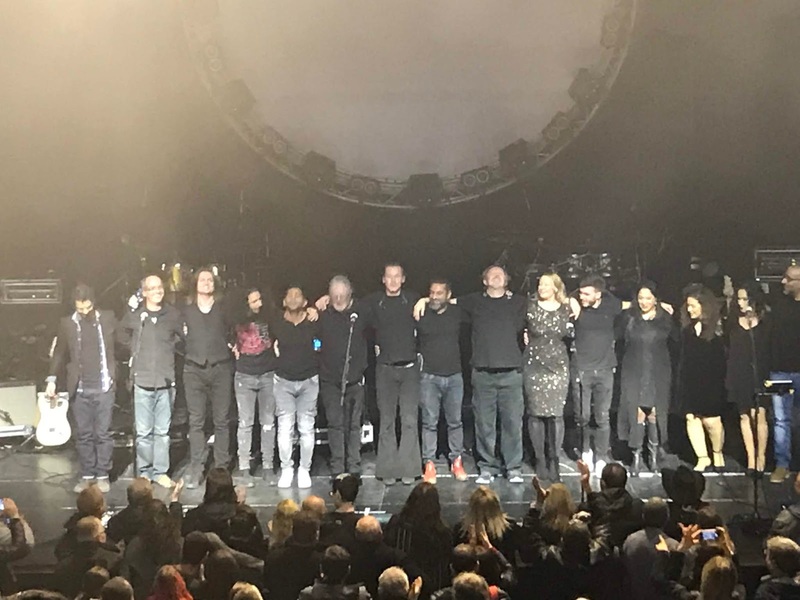 Because "we can't have nice things", the reasons for including Echoes in the concert and for the way the playlist was divided between the bands were largely political rather than artistic. It didn't come as a surprise to anyone that the Israel-hater Roger Waters tried to get UK Pink Floyd Experience to cancel their shows in Israel. As a compromise, they decided not to play the songs associated with Waters themselves and to delegate that task to Echoes. 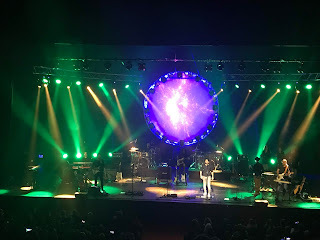 I think the Israeli audience appreciated their decision to appear in Israel despite the pressure, and the compromise allowed the show to be satisfying, with a combination of familiar and less familiar works. It was also a great opportunity for Echoes, and I'm sure they have benefitted from the cooperation and from the exposure to a wider audience. I have written before about BDS and why I believe boycotting Israel is immoral and counterproductive. It seems ridiculous that there are artists who believe they can change the world not through their art itself but through depriving certain groups of people of access to their art! I see art, like love, as something that illuminates the world and should be shared as widely as possible. People who spread darkness, division, and hatred, especially those who feel so righteous about it, are misguided and actually contribute to the spread of evil in the world instead of uniting the whole human race by finding things everyone can enjoy in common, such as music and art. I enjoyed the concert and was gratified that they found a way to make it happen despite attempts to prevent it. Let music and love win!